A big congratulations from MazdaSocial to Mazda Motor Corporation, who’s compact crossover SUV, the CX-5 has been named the 2012-2013 Car of the Year Japan. 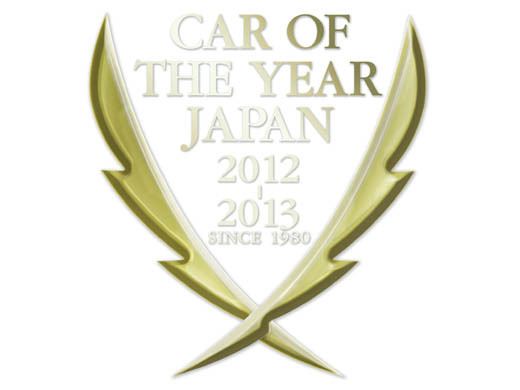 The award was announced by the Japan Car of the Year committee on November 29, 2012. The CX-5 was the first model to adopt the full range of Mazda’s SKYACTIV technologies including new engines, transmissions, body and chassis. It offers a predictable and refined driving experience together with outstanding environmental and safety performance. It is also the first model to fully embody Mazda’s new design theme, KODO – Soul of Motion. With finely-honed vitality and dynamism, its styling is reminiscent of a cheetah about to pounce on its prey. The CX-5 equipped with Mazda’s new-generation SKYACTIV-D clean diesel engine boasts powerful driving comparable to a 4.0-liter V8 gasoline engine vehicle thanks to 420 Nm of maximum torque. At the same time, it achieves an SUV class-topping fuel consumption of 4.6 l/100 km with only 119 g/km of CO2 emissions. An umbrella term for Mazda’s new-generation technologies, including SKYACTIV-G gasoline engine, SKYACTIV-D diesel engine, SKYACTIV-DRIVE automatic transmission, SKYACTIV-MT manual transmission, high-performance lightweight SKYACTIV-CHASSIS and lightweight, highly rigid SKYACTIV-BODY.